A recent study on alcohol and pregnancy conducted in Britain using data from the Millennium Cohort Study has revealed that light drinking during pregnancy poses no real threat to the unborn child. Light drinking is described as consuming 1-2 drinks per week. Children who are now 5 years old, whose mothers drank alcohol lightly during pregnancy, were shown to perform just as well as their peers in cognitive testing. In fact, those whose mothers drank small amounts of alcohol during pregnancy actually did better in some tests. Those whose mothers drank heavily during pregnancy achieved lower test scores. The study came with a disclaimer noting that heavy and binge drinking during pregnancy is unsafe. While this new research shows that having the occasional wine with dinner poses no threat to an unborn child, it’s unlikely that many expectant mothers will be hitting the booze any time soon. There is much social stigma attached to alcohol and pregnancy. Many mothers have reported that when they considered having an occasional drink while pregnant, social pressure caused them to refrain. 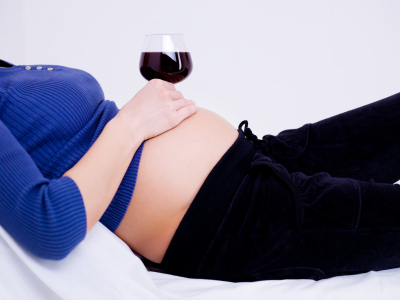 Currently, 1 in 12 women report that they drink light amounts of alcohol during pregnancy. Often this drinking occurs because the pregnancy is unknown at the time. One in 30 reports heavy drinking, or binge drinking. It’s this heavy drinking that poses the greatest risk to fetal health. Once it is known, the mother-to-be should be encouraged to go through a series of alcohol abuse treatments for her health’s sake and the baby’s. Up to 40,000 children in the United States are born each year with fetal alcohol spectrum disorders, the umbrella term used to describe problems related to exposure to alcohol before birth.